Golden Gate Park is one of the most popular attractions in San Francisco. If you get a chance to visit the city, you should definitely make it a point to check out this wonderful spot of nature right in the heart of San Francisco. And if you live in San Francisco then you should do some in-depth exploring of all that there is to see in this amazing place. You would be surprised how many different things there are to check out while you’re here. 1. Botanical Gardens. The Botanical Gardens are an amazing set of public gardens that are located in the center of the park. They are currently free to visit although I’ve heard rumors that a small fee will soon be charged. Even with a fee, it’s worth it to go here. There is plant life from different parts of the world. It’s a retreat inside of a retreat inside of an urban area! 2. 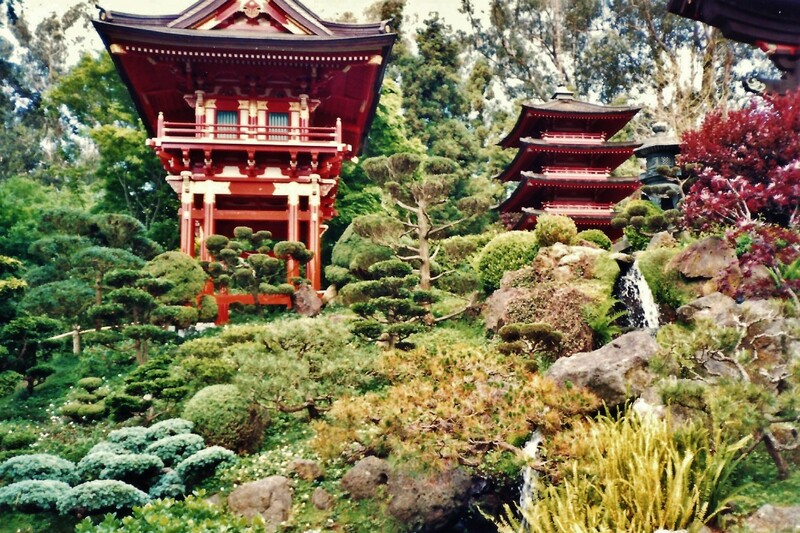 Japanese Tea Gardens. 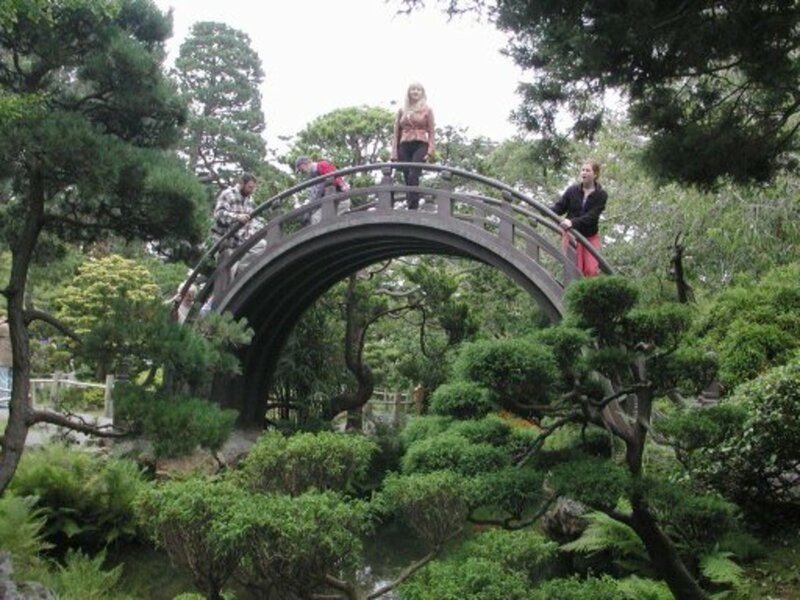 Located really close to the Botanical Gardens you’ll find the Japanese Tea Gardens. It costs a small fee to enter here but it’s totally worth it. The plants and statues here are peaceful. There are a few koi fish in the pond. And for a few more dollars you can get tea and cookies sold by women wearing traditional Japanese clothing. 3. De Young Museum. 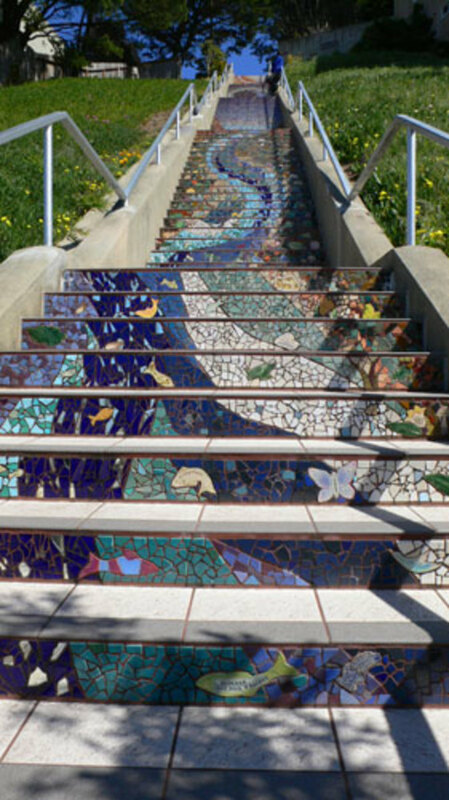 Located in the same part of the park as the two gardens, you’ll find this terrific art museum. There are wonderful permanent and temporary exhibits here. Plus you can go to the top of the gift shop (for no charge) and get a really cool view of the whole park. 4. California Academy of Sciences. Located across the way from the De Young Museum is this building which holds an aquarium, a planetarium, a rainforest exhibit, a restaurant, a living roof and a lot of other stuff worth checking out. 5. Bison Enclosure. 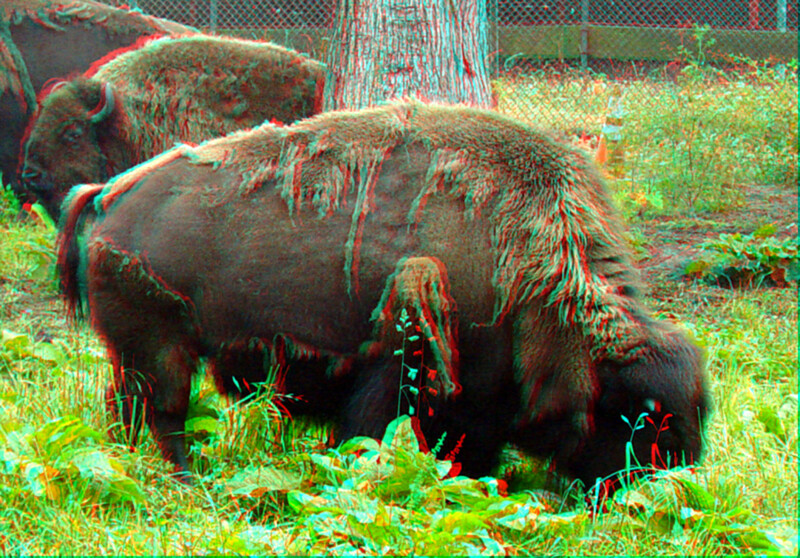 There is a small enclosure in Golden Gate Park where a handful of American Buffalo live. It’s strange to see a few of these creatures inside of the fence here. It’s nothing like seeing them out in the wild at a place like Yellowstone. Still, it’s kind of cool to check them out since they’re amazing creatures that we don’t get to see too often. 6. Equestrian Stables. Bison aren’t the only animals that you can see in the park. There are also horses over at the stables in the middle of the park. Occasionally the people who have their horses here will put on a horse show in the polo fields which are another part of the park worth checking out. 7. Soccer Fields. If you want to get active while you’re in the park then a good choice is to check out the soccer fields that are located on the northwest side of the park. Originally these were supposed to be polo fields but that never really panned out. 8. Windmill and Tulip Garden. 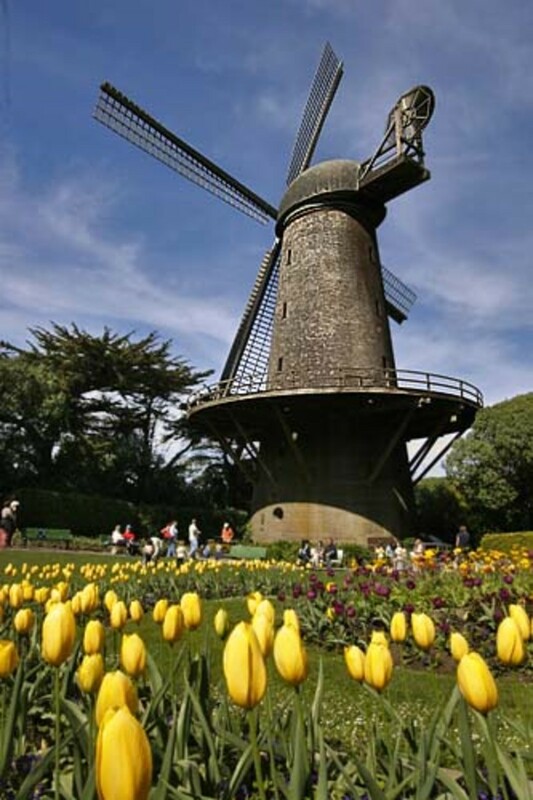 At the west end of Golden Gate Park is a windmill surrounded by a beautiful garden of flowers. It’s a picture-worthy spot and the windmill was once a working windmill so there’s some history here too. 9. Games at Kezar Stadium. At the eastern end of Golden Gate Park is this stadium where various high school and community sports teams play their games. The best thing to check out here is roller derby which happens every so often. 10. Outdoor concerts. There are numerous free (and not-so-free) outdoor music concerts and festivals held in Golden Gate Park throughout the year. Most of these take place in the summer. It’s always fun to lounge around in the park listening to music. 11. Conservatory of Flowers. This is one of the world’s largest conservatories and an amazing place to see if you’re interested in indoor gardens. There are also lots of special events and exhibits here that you can check out periodically throughout the year. 12. 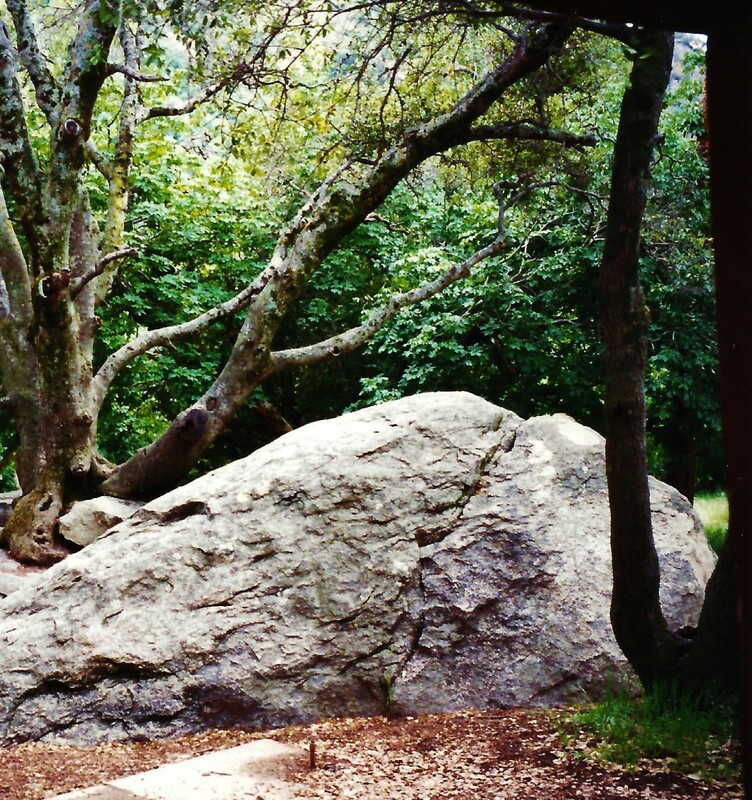 AIDS Memorial Grove. 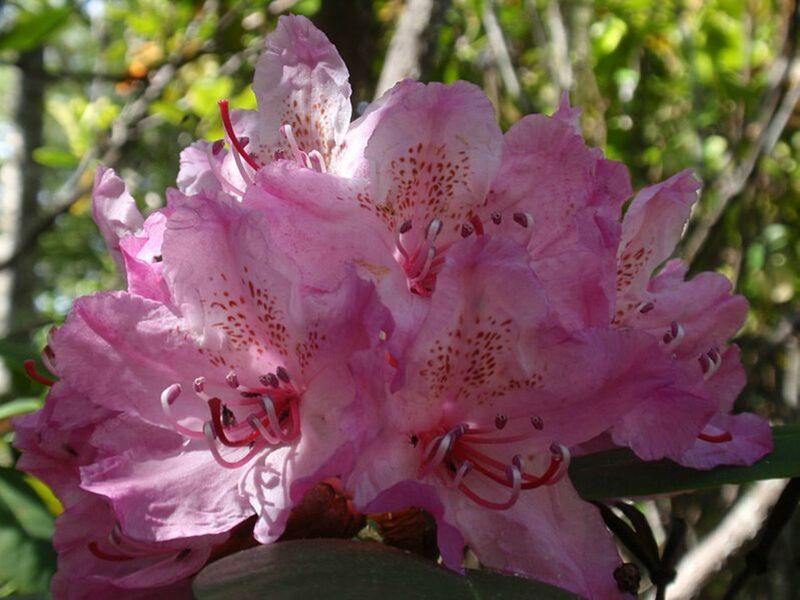 Another place where you can go to see flowers (but one that’s a bit more somber) is the AIDS Memorial Grove which is dedicated to the memories of those people who have died from the disease. 13. Golden Gate Park Rose Garden. A slightly more uplifting place to see flowers in the park is to check out the rose garden. Numerous varieties of roses bloom here during the right season. 14. Hippie Hill. 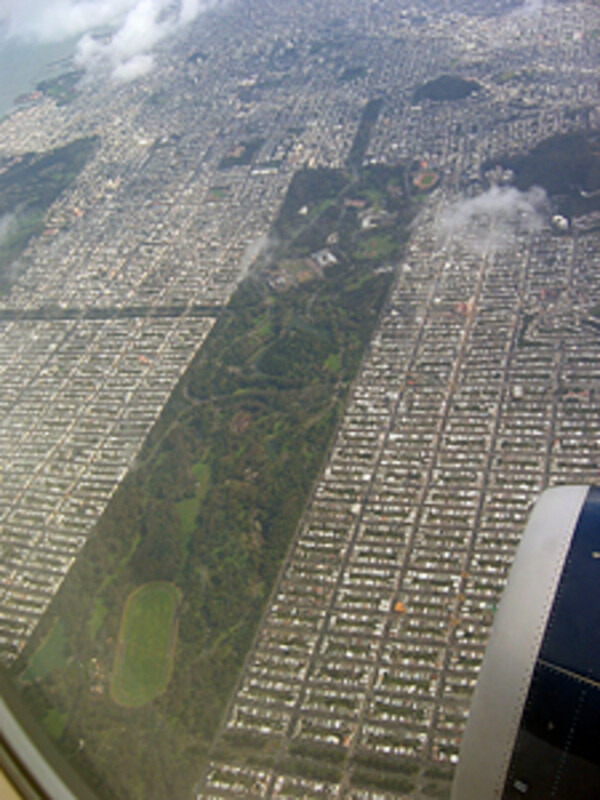 Golden Gate Park is located right near The Haight which is famous for the time that the hippies populated this area. Go back to that time at this spot of the park where you can frequently experience a drum circle. 15. 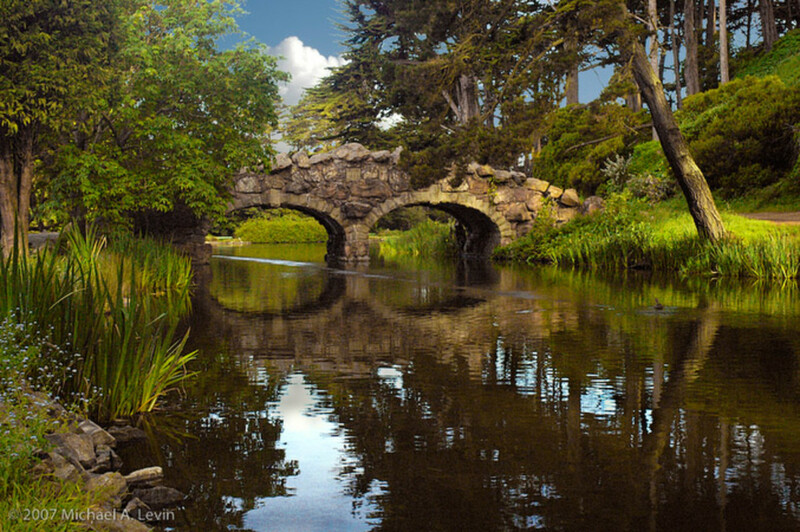 Stow Lake. One of the things that people like to do when they go to the park is to feed the ducks. You can do that here at Stow Lake which is in the center of Golden Gate Park. You can also rent a paddleboat and ride it around. 16. Children’s Playground and Carousel. If you have kids then you’ve got to check out this terrific playground in Golden Gate Park. Even if you don’t, you may find that the kid in you comes out here. 17. Sharon Arts Studio. Located close to the children’s playground is this awesome community art studio that offers classes to people interested in art. 18. Golden Gate Park Golf Course. There is a golf course located within the boundaries of the park so if you want to get out on the green and enjoy some golf then you can do that. They also teach golf classes for both children and adults here. 19. Archery Range. Located close to the golf course is the San Francisco Golden Gate Archery Range where people go to practice archery. You can learn more about this place by checking out the Cupid’s Gate Archery Team which trains here. 20. Beach Chalet Brewery and Restaurant. When you’re done exploring the entire park, you can go grab a drink at this restaurant and brewery which is located in the park on the western side. There are historic murals to check out before or after you eat and there is frequently live music to be enjoyed here. Hippie Hill sounds like a great place to visit and experience a drum circle. If you don't know much about drum circles you can view some good overview info at http://www.djembelessons.com/drum-circles. At my age I can only visit such amazing places only through the readings of other people. If I ever lived to see San Francisco it will be a nice feeling. To read you St. Francisco post made me go back to the past and remember visiting all those places with my husband and having a greeeeaaat time! Thank you for taking me back in a virtual trip to a place i love! Great info. Can't wait to visit some of these places when I come out there next month! hubs like this is cool keep it up. 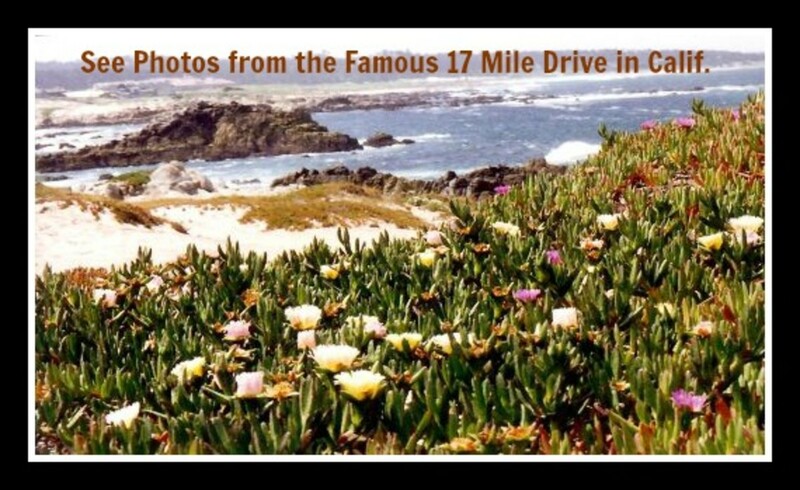 I impressed to read your hub.this is the nice information of San Francisco's 20 places. This is awesome. I've been to San Francisco five or six times, and I've still only seen a fraction of it. There's a lot to do there. As for Golden Gate Park, I've only been to the part near the Exploratorium. Beautiful building. Thanks for the tips! Thank you for giving Cupid's Gate Archery a mentioning in your article. Great descriptions! I linked your hub to mine so others can find out what to do in the Park. Hi. I'm new to Hubpages and was reading your hub and wondering if you had any advice on what I could doto improve my hubs. p.s. I've always wanted to go to San Fransisco. Thanks for the great Hub - I'll be in San Fransisco next week and I'm printing this to take with me! Having been to San Fran many times in the past, I am shocked to find out there are bison in Golden Gate Park. Thanks for the great information.